Designing a disaster relief solution that aids victims in the middle of the crisis experienced during the annual flood in Central Vietnam. Hi Vọng means "hope" in Vietnamese. 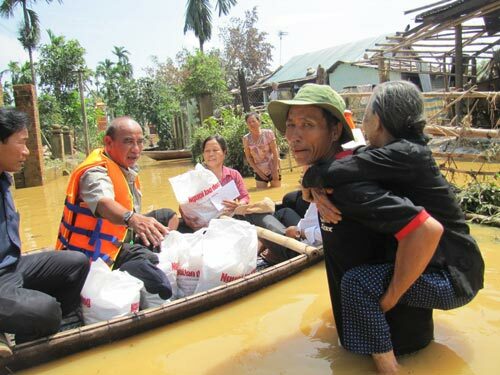 To respond to the annual flood in Central Vietnam. There are many natural disasters that occur each year in Vietnam. Most of them are unpredictable and thus, detrimental to the society and individual life. 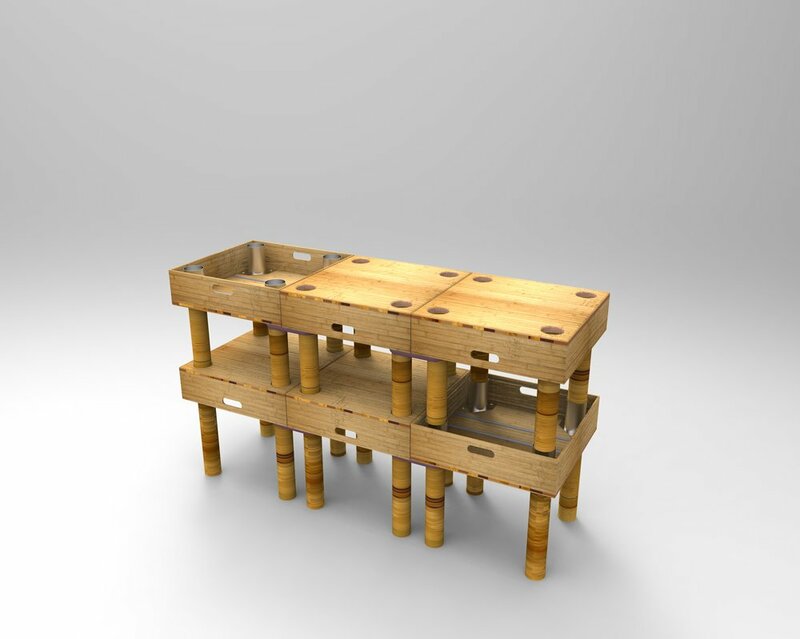 A modular piece of furniture that is low cost, portable, transformable, disposable, easy to assemble, takes advantage of local resources, and most importantly, supports life of the victims suffering from the natural disaster in both short and long run. “I have never seen anything like this in my life. Huge blocks of land were falling down from the hills,” says Nguyen Thi Hoan, who – together with her eight-year-old son - narrowly escaped from a landslide and flash floods in the Doan Hung district of Phu Tho. Hoan had heard that the weather conditions were expected to worsen overnight, but no evacuation order was given. When conditions deteriorated she ran, carrying her child on her back, to her mother’s home some 500 metres away. But the water was rising rapidly and she was soon trapped. Luckily, some neighbours heard her cries for help and came to her aid. Nguyen Thanh Quy, a 50-year-old father of four from the Minh Luong commune in Doan Hung, also lost his home in the disaster – but he was able to save his family. A landslide hit their house at around midnight on 8 August, and Quy had to rush back into the collapsing building to rescue his youngest son. “The little boy was fast asleep,” Quy told the Red Cross. “I carried him in his blanket, running out into the storm. He only woke up when the rain fell on him.” Quy and his family are now living with his mother in a small house nearby. However, while their home and many of their possessions have gone, their livestock survived, giving the family some hope for their future prospects. The relief items were transported by either helicopters or trucks to the site then distributed directly to the victims either at the shelters or by boats. 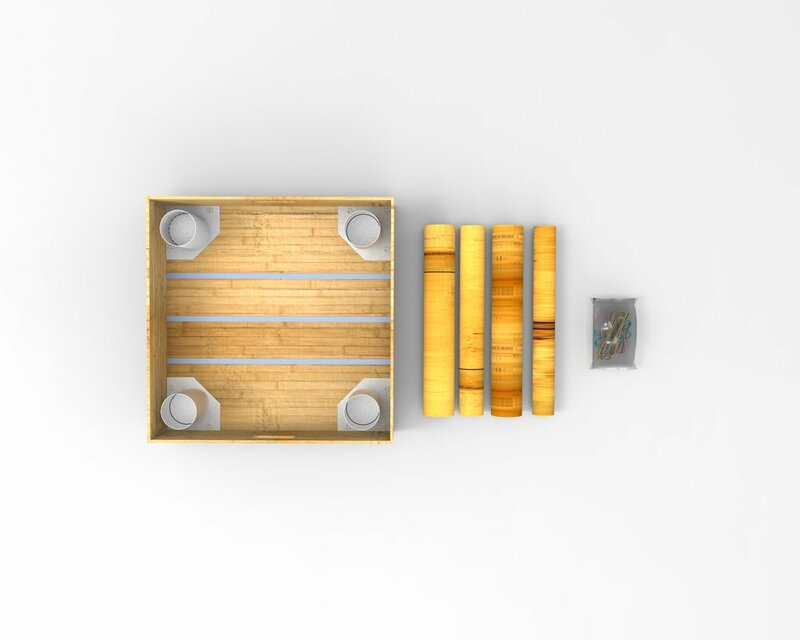 With that in mind, one of the design considerations was to make sure that the item could be conveniently delivered. In Central Vietnam, a type of bamboo called "Luong Thanh Hoa" is locally popular as a rapidly renewable resource, which offers cost efficiency and good quality. 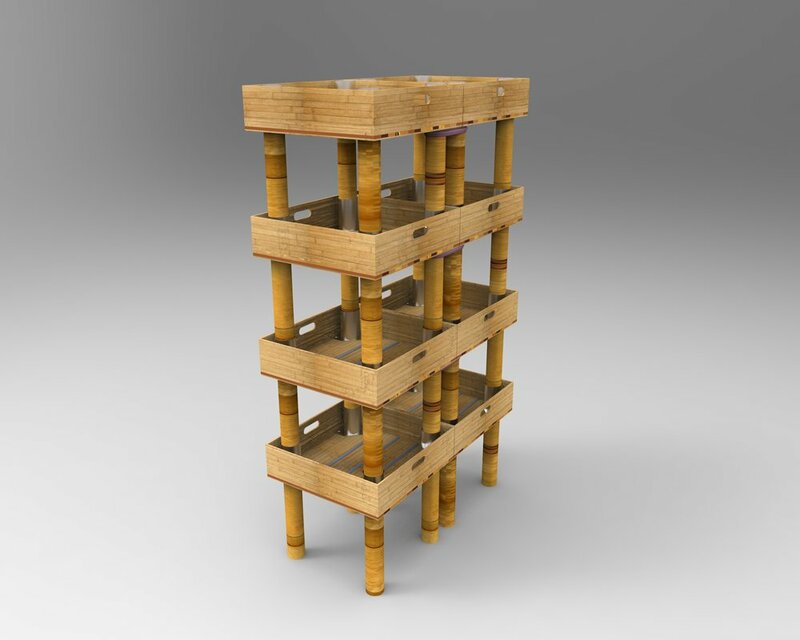 Using bamboo as the main material promotes bamboo harvesting, manufacturing and building in an ecologically safe manner. Inox is trong, easy to work with, cheaply produced and has high oxidation resistance. The total cost of each item is 90,000 VND (about $4 USD), which is highly affordable according to the typical budget for the flooding recovery in Central Vietnam. Shipping process is taken in consideration of the delivery methods and transportation options during the flooding. 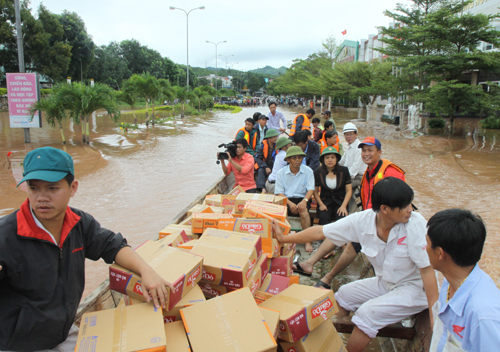 Most supplies are transported by big trucks to the site then delivered by small boats to the victims. Hi Vọng comes in a package of a bamboo top/container that has 3 elastic rubber strings running across to hold the 4 bamboo legs during transportation, and a bag of rubber bands. 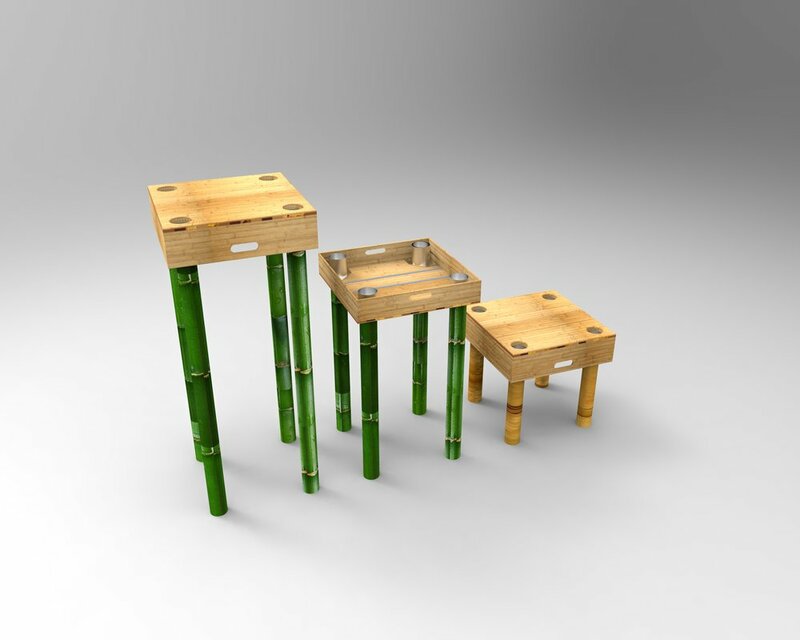 Due to bamboo's natural growth, the legs are at variable diameters. The rubber bands help to adjust the difference in size, as well as create friction for the legs to stay firmly in the INOX tubes. Hi Vọng is a modular design that can be stacked together using the rubber bands. 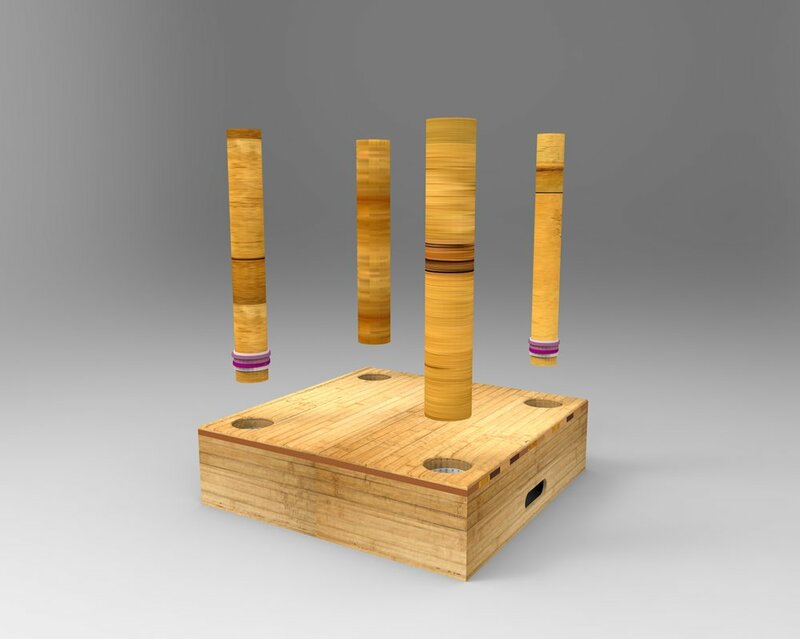 In addition, the top can be used in two ways, as a container or as a flat surface, which is open to multiple applications depending on the needs of the users. 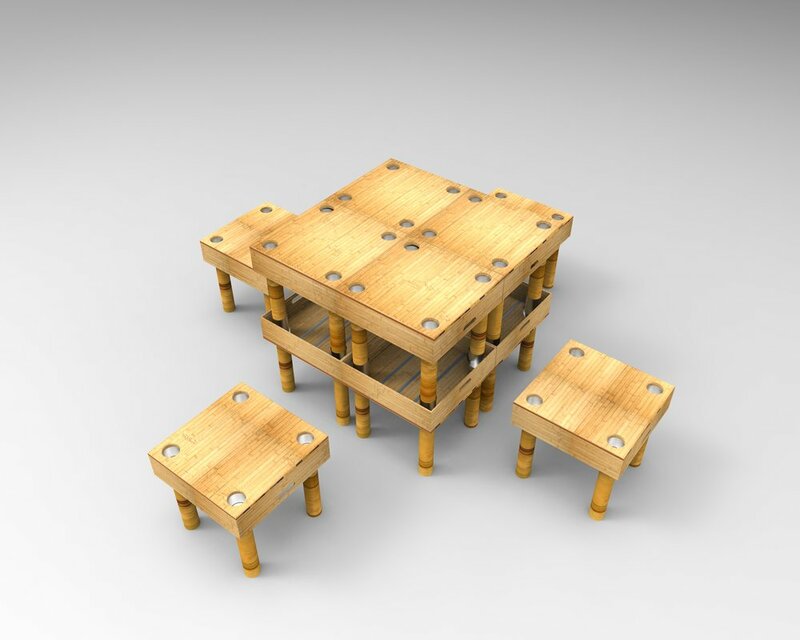 With its stackable and renewable (bamboo can be harvested locally) abilities, Hi Vong offers variable applications not only after the crisis but also in long-term use. The disaster has always struck by surprise, especially in the middle of the night. Hi Vong provides a quick light and immediate solution to protect valuable possession.